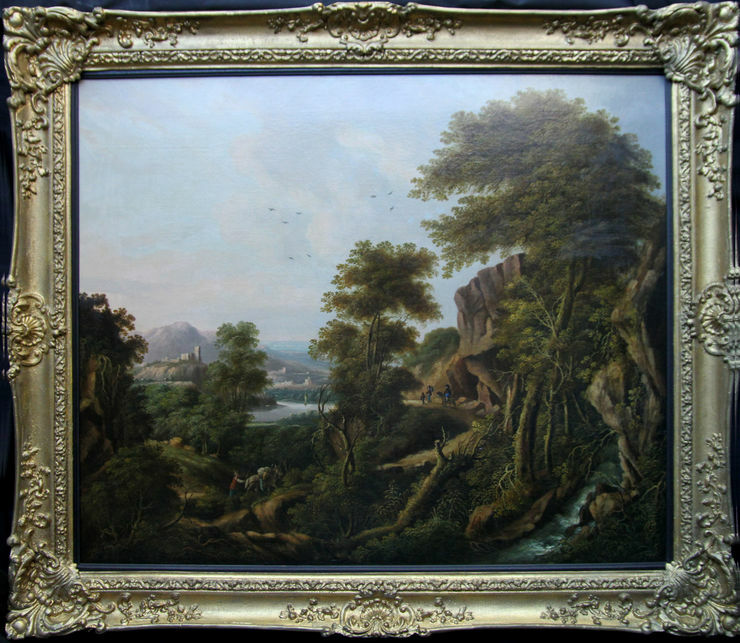 A delightful, large Old Master oil painting landscape capriccio of an Arcadian scene with figures and travellers and a rocky steam in the foreground. 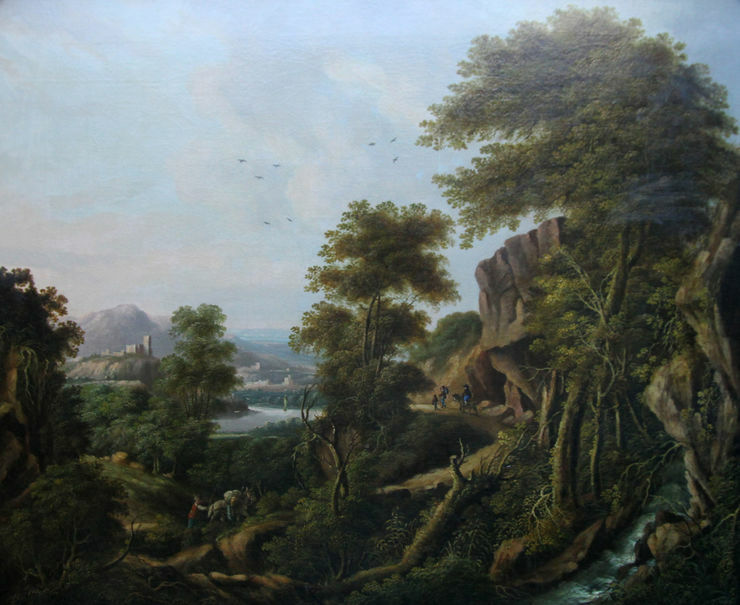 It dates to around 1790 and is attributed to the the circle of the German artist Jacob Philipp Hackert. The composition is after a painting by the Dutch artist Jan Both, now in the National Gallery, however the painting bears Hackert’s characteristic pink skies and exactness to detail and he was known to paint commissions of Old Masters. A real country house painting. Fine 18th century period frame. 40 inches by 33 inches approx. Gallery condition. Relined in very good condition.